Queen Crab rises from the deep! 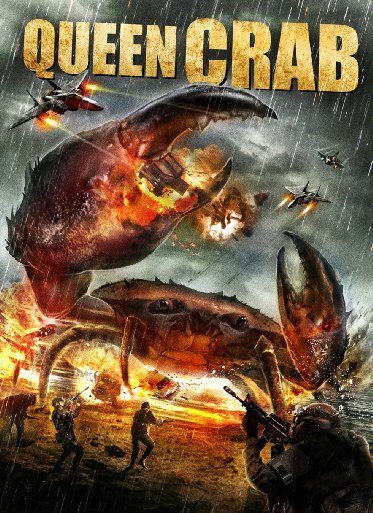 Wild Eye Releasing has announced the September 29th DVD and VOD release of Queen Crab. The latest film from cult auteur Brett Piper (They Bite, The Screaming Dead, Raiders of the Living Dead) Queen Crab is a loving, action-packed tribute to the classic days of practical stop-motion animation, evoking the days of Ray Harryhausen creature features. A meteor crashes into a quiet lake in the remote countryside, awakening a centuries-old beast. She emerges from the deep and tears through a nearby town and its inhabitants. The humans must fight for their lives and stop this Queen Crab before she can hatch an army of babies that will overrun the entire world.